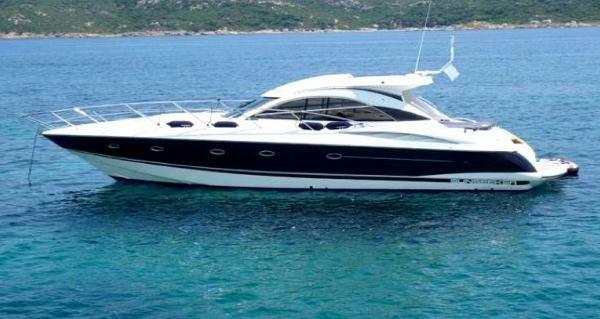 This Sunseeker Camargue 50 is a great example of this popular model which remains one of Sunseeker’s finest sports cruisers. 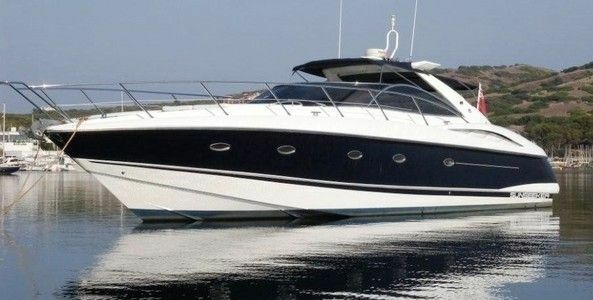 This Sunseeker Camargue 50 is a great example of this popular model which remains one of Sunseeker’s finest sports cruisers. 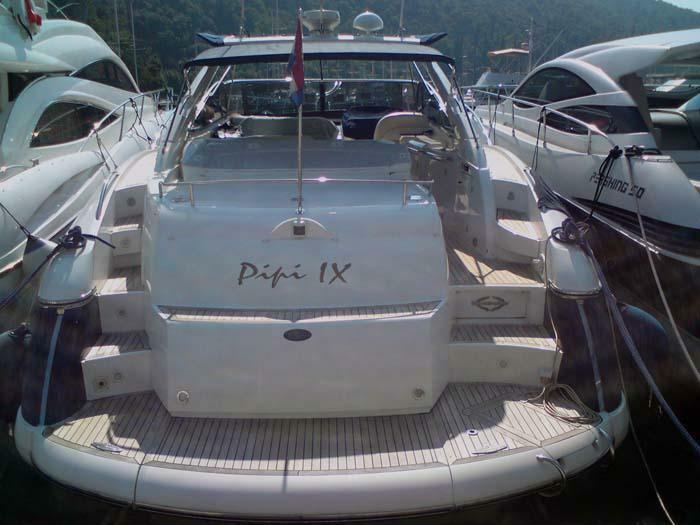 Offering a very sociable cockpit which comprises of a large sunpad and a cockpit dinette to sit 6 people, it is a truly sociable boat perfect for entertaining. 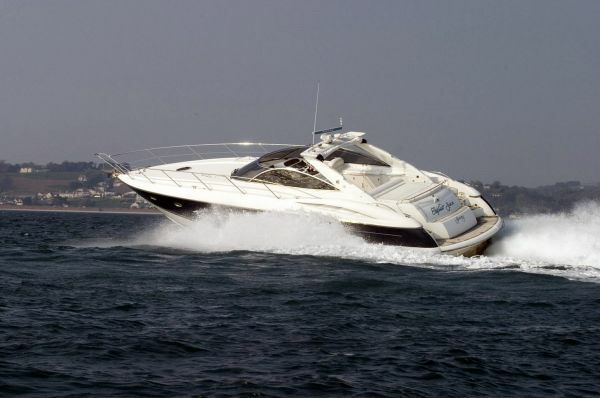 An immaculate example of Sunseeker’s most popular sports cruiser that is the perfect boat for entertaining family or friends. 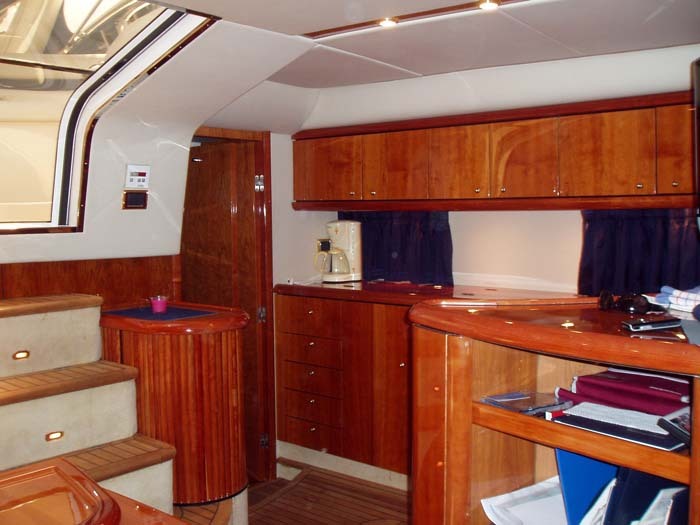 The large open plan saloon within complements the huge deck area above with its deeply upholstered seating for eight around a fold away dining table.For extended civilized cruising, the stylish interior includes comfortable two stateroom accommodations, a large, well-equipped galley and ample storage. 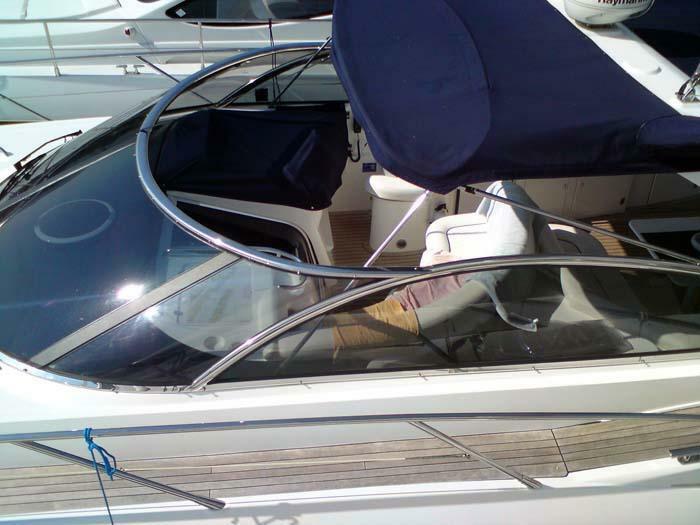 The core of this boat, its inner strength, is its wonderful, sheltered, sumptuous single-level cockpit. The eagle-eye windows seem to have grown larger, leading to bigger views while foxtrotting on the teak decking. But the layout is pure pragmatism. Portside is guests’ seating facing a full-length amenities centre. What could be simpler? The two plush, white-vinyl U-shaped lounges can accommodate eight people. Half the complement gets to ride opposite the skipper, but everyone can converse on the one level. 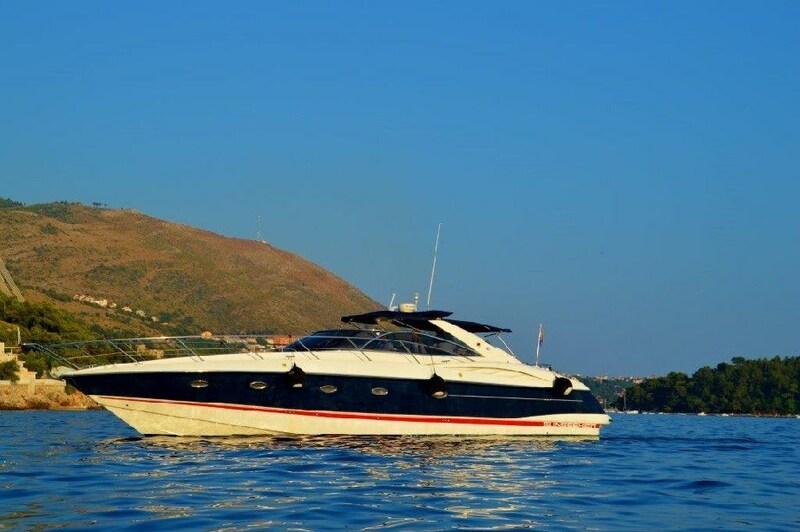 A real lifestyle boat, the svelte Camargue 50 has indoor and outdoor lounging areas, a big entertaining platform much like the company’s brilliant Predator range, and an interior designed to pamper two couples.